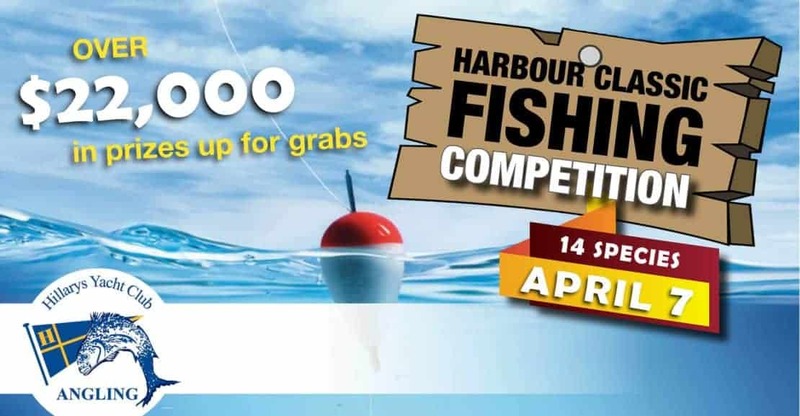 Hosted by the Hillary’s Yacht Club, the Harbour Classic Fishing Competition is on this Saturday 7th April. Read below for all the event details. “$22,000 in prizes up for grabs! Once again Hillarys Yacht Club extends a warm invitation to all anglers to participate in the annual Harbour Classic Fishing Competition. This is an open competition and all anglers in Western Australia are invited to fish in this event to show their expertise by catching the best of the named species. For more information or to register visit the facebook event page.